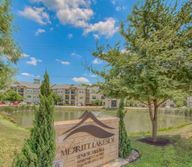 Staff members at Merritt Lakeside Senior Village Apartments are dedicated to making your home the finest place to live. Your opinions and comments are extremely important to us and will enable us to improve your community. This form will allow you to communicate any concerns or questions you may have directly with the Property Manager. As always, you can speak to the Property Manager in person at the Leasing Office. Using the following rating scale, please indicate the degree to which you are satisfied with the community, services, and personnel.